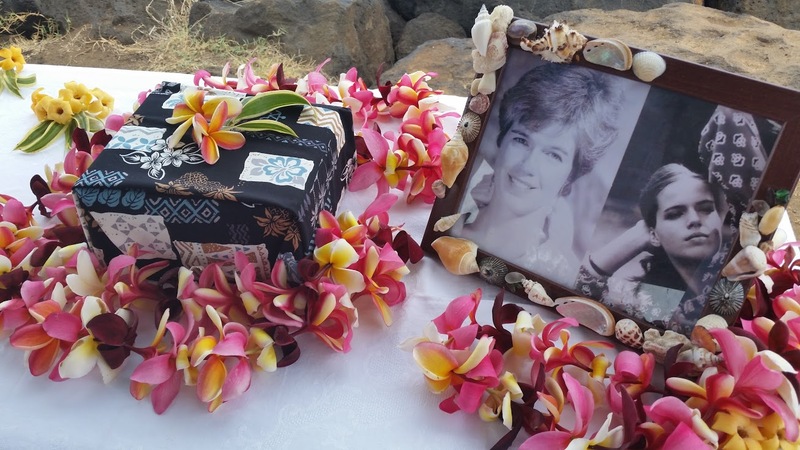 In July, we took a family trip back to Kauai to have a memorial for my husband’s mother. 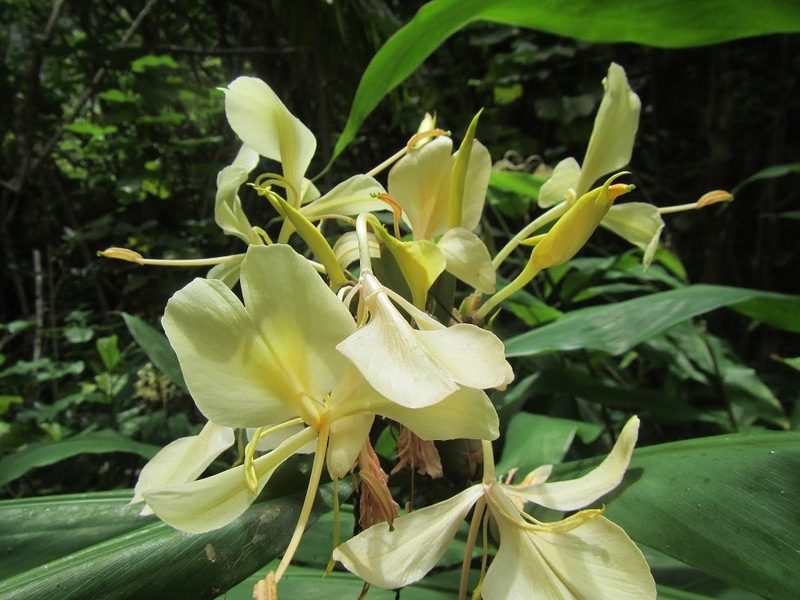 Sean grew up on the island, so Kauai is a special place for everyone in his family. We brought her ashes out to the Na Pali coast and surrendered them to the waters along with flower leis. A couple days later, we would be back out on the waters but not in a boat with an engine, but in kayaks! 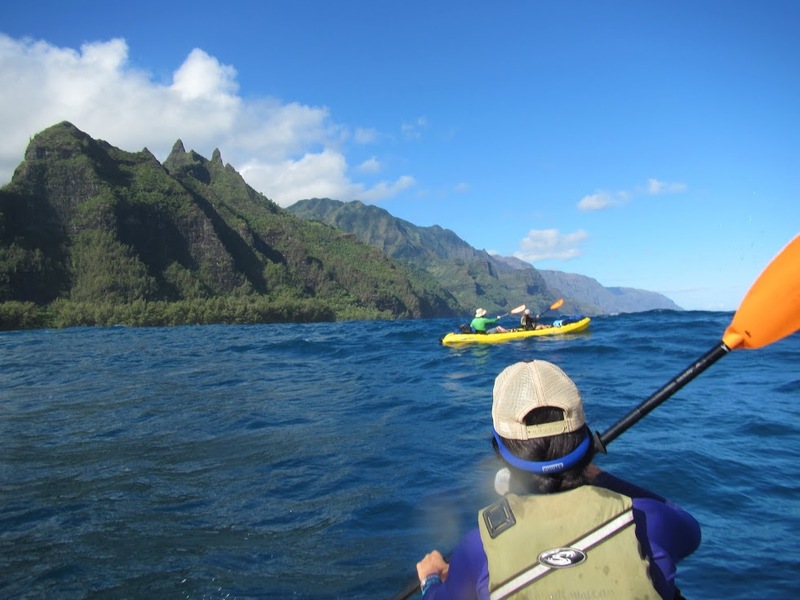 We would paddle 17 miles over the course of 3 days, with stops at Kalalau and Miloli’i. 10 years ago I had attempted the same trip but was so seasick that it’s embarrassing to say that Sean had to paddle a green-faced girl almost the entire way. Seasickness is a serious concern. This time was going to be different! Thanks to a Scopolamine patch (this is actually a creepy nightshade that’s used in Colombia for nefarious activities!) I was fine the entire time. We met Miguel (Micco) at Kayak Kauai in Wailua at 6am and took the trip with his kayaks to Ke’e Beach at Haena State Park. I highly recommend his business as he has a passion for the ocean and love for Kauai. He has awesome stories to tell and will give you some good tips. We were lucky to have him pick us up at Polihale too. But our trip was going to be unguided as we just rented the kayaks from him. It was just me, Sean and our 2 friends, Kimberly and Ryan. 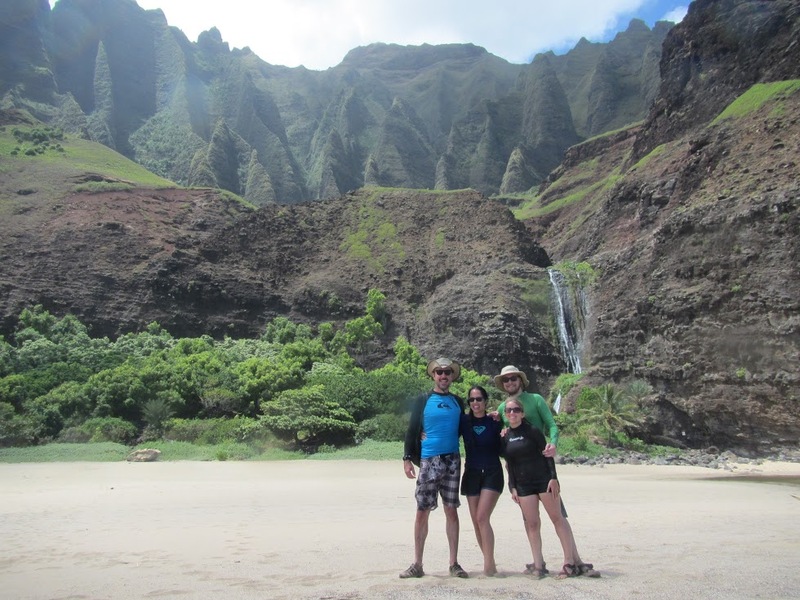 They were so stoked at being on Kauai and doing this awesome adventure with us! So we had a great launch off the beach with clear skies and the wind at our backs. Could we not be luckier? The expanse of the ocean and the cliffs at our left were breathtaking. Since kayaks travel much slower than boats, we could take our time and appreciate the views. We passed Hanakapi’ai Beach. Most people end their day hike from Ke’e Beach and enjoy the waterfall. I’ve done that hike several times, even with a 4-month-old. It was fun to pass that beach and continue on without having to hike the entire Kalalau Trail! When we arrived at the Kalalau beach, we had our first frantic landing. This is why I would encourage everyone to do this trip with a guide. Sometimes the surf and the way the waves break can be unpredictable. Needless to say, I went huli (flipped) out of the kayak, lost my Herbivore baseball cap, and had a nasty bruise on my right shin from the kayak hitting it. My father-in-law who is a doctor said that there is the potential for broken tibias from kayak impacts while landing ashore. So again, get a guide and when out, get away from your kayak if you can’t get it under control. Kalalau Beach is amazing from the shore. You see cathedral-like cliffs, green rainforest, and beautiful waterfalls. Wild goats dance along jagged edges. There are interesting people too! The longer you stay, the more your clothes seem to disappear! Camping is by permit only so please pay your $15 a night and get there early in the day to grab a decent spot. We found a nice place to set up camp that had a great view of the ocean and not too far from the waterfall (our source of water that we filtered). Though the water may seem pristine, there is a spirochete that causes Leptospirosis, a sickness that lands you in the hospital about 1-2 weeks later. It comes from the excrement of wild pigs and goats so the only way to make sure you don’t get it, is to filter your drinking and cooking water and be careful with open wounds. We had a manual filter and also a UV filter (SteriPen). Did I mention this trek was going to be fueled with hearty VEGAN food? 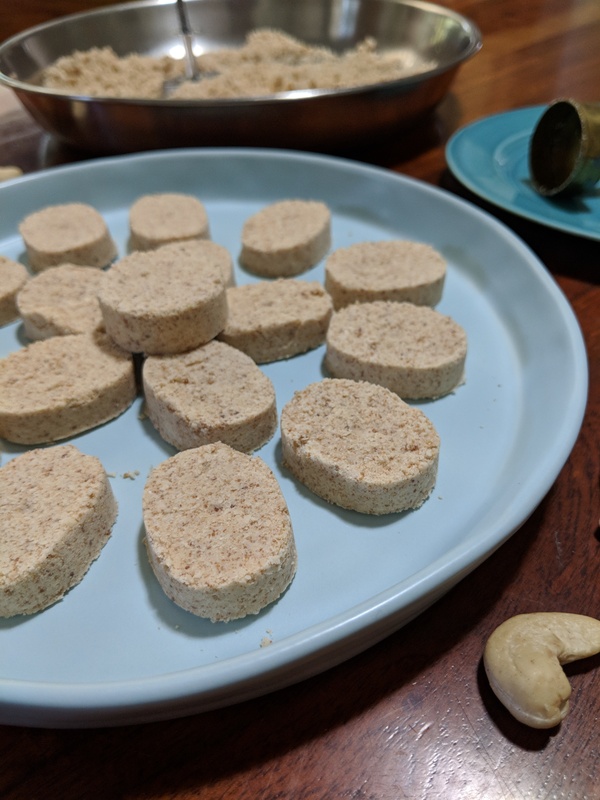 Not just granola and bars, but real hot food, like scrambled tofu, Soy Curls, cinnamon rolls and other yummies that you wouldn’t expect while roughing it! Do you know how awesome it is to camp with people who eat like you do and know that you will get to have Smores with Sweet and Sara Marshmallows? We hauled our perishable food in a collapsible cooler by Icemule. You couldn’t do this if you hiked in, well maybe someone could but by kayak, it was easy! We filled it with cold water from the waterfall to keep some of our packaged food cool. 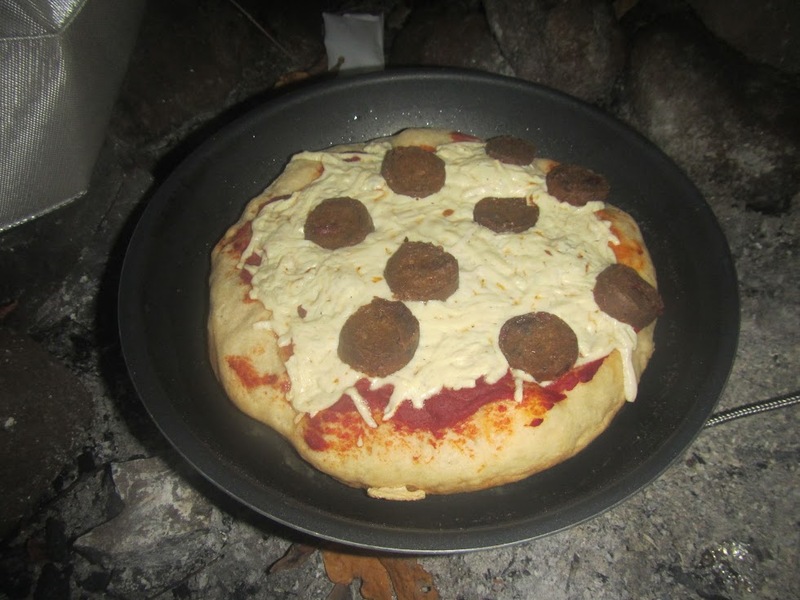 This camping oven by Backpacker’s Pantry helped us make baked goods like PIZZA. Thank you, Daiya for being in a waterproof bag! We made sure to kayak out all of our trash and recyclables. It’s amazing sometimes the stuff you find in a remote place even among so-called Nature loving hippies. No lovely Hawaiian creatures or fishes were consumed by us. 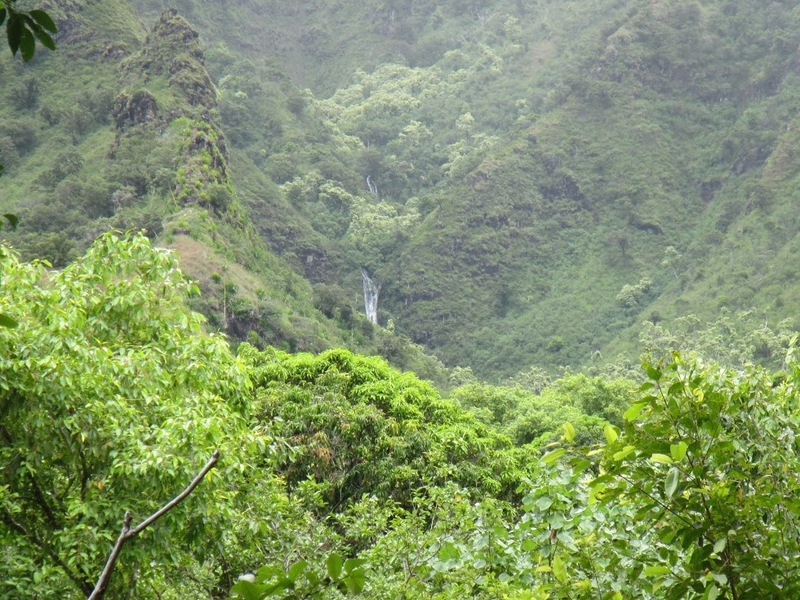 Another great part of Kalalau is the hike to Big Pool and Waimakemake Falls that is far back in the valley. Along the way are mango trees, guava trees, lilikoi (passionfruit) vines and ginger plants. We were able to humbly partake of nice ripe fruits! 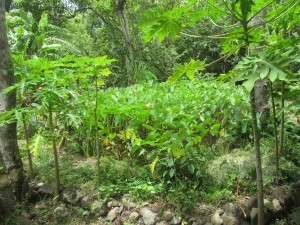 Someone is cultivating taro up there and has created a farm by the stream. Lots of ALOHA in this sacred valley. You will come across ancient Hawaiian terraces and also heiaus. If you respect the land, and the spirit that lives here and in all of us, you will be shown amazing things. It was easy to get to Big Pool. 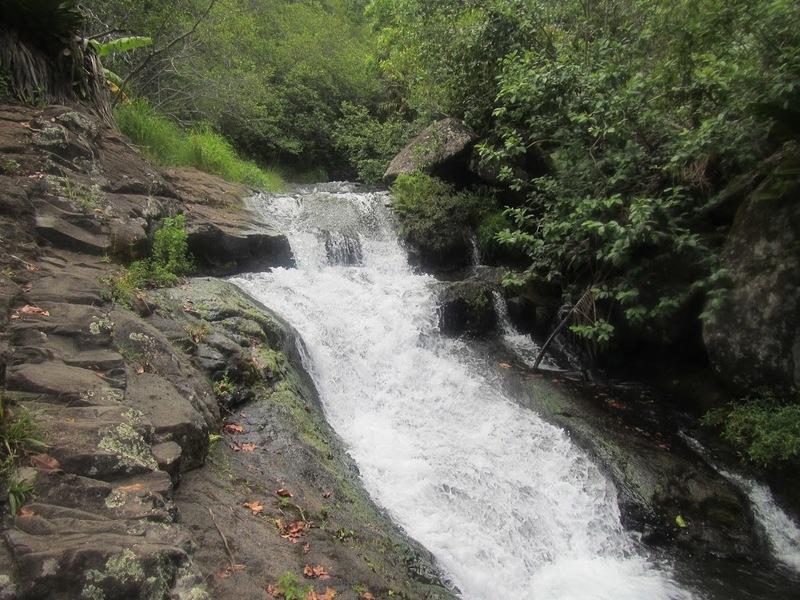 The water was refreshing after a long hike. 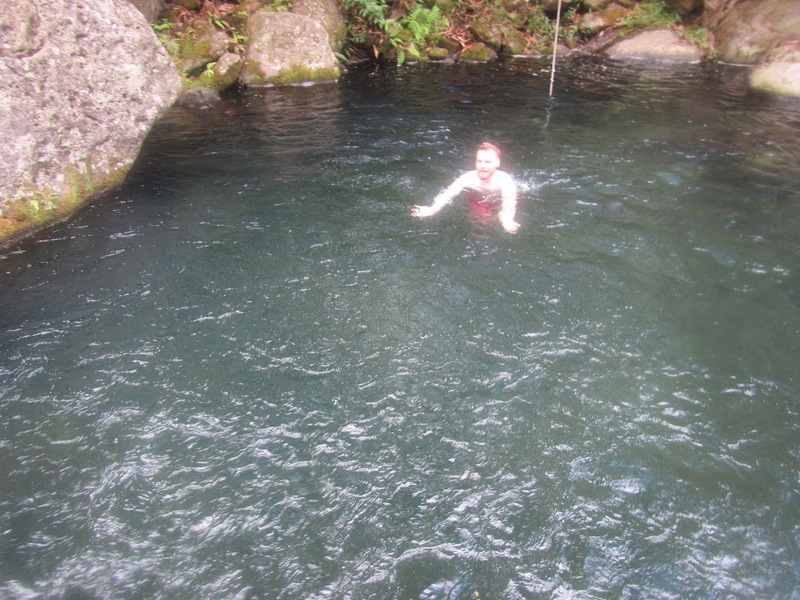 After the Pool we headed out on a narrow trail farther in until we came to a rope hanging over a steep incline. The hiker’s guide we had read online said we needed to ascend this rocky outcropping. It was a bit hairy but we did it. We took no pictures and concentrated on getting everyone up (and later down) safely. Our perseverance was rewarded with a private viewing of Waimakemake Falls. The water hitting the shallow bottom of the falls was quite loud. 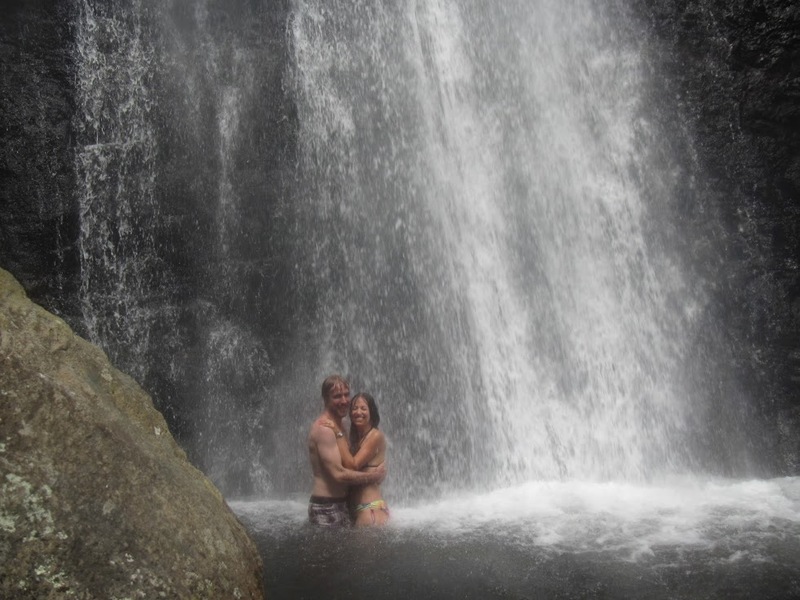 If you have never embraced under a waterfall, I send my best wishes that you get to do it in this lifetime! We had a mini lunch of tempeh bacon sandwiches with some greens similar to watercress or miner’s lettuce that grew near the waterfall pool’s edge. We found the trail back to Kalalau Beach even though I think we took the longer route back. Nothing is really marked, you have to trust the aina (the land) to show you the way. 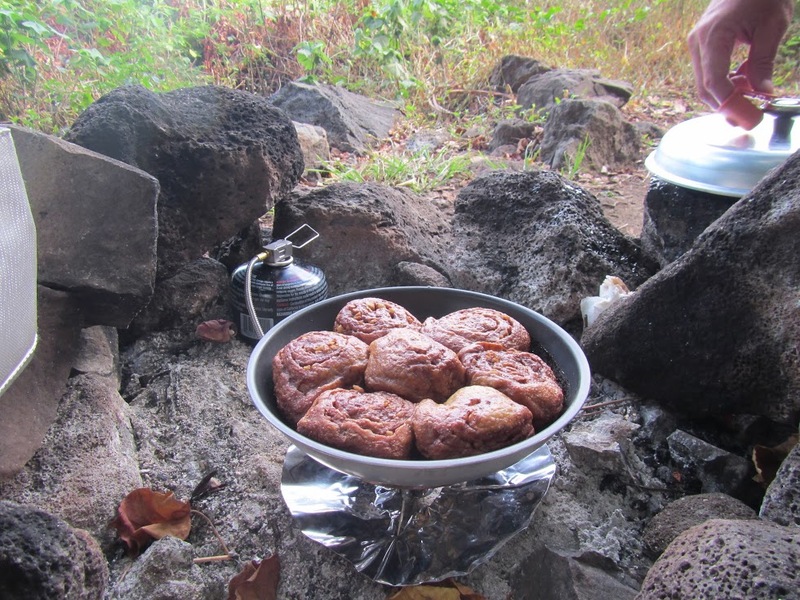 Kalalau means “to wander” and it’s a great thing to do if you have the time. We have the GPS coordinates of everything as we tracked ourselves on the trail, just in case we decide to go back and want to discover more. 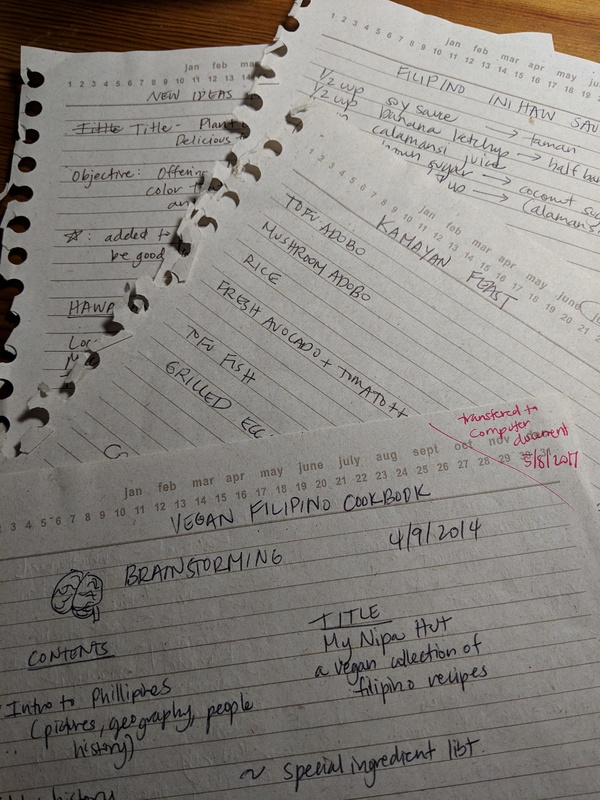 See the next page for Part 2 of this post and the rest of our trip, including Miloli’i and Polihale.